"Share the best tweets about a topic you care about, or an event—planned or unplanned—that's happening right now." 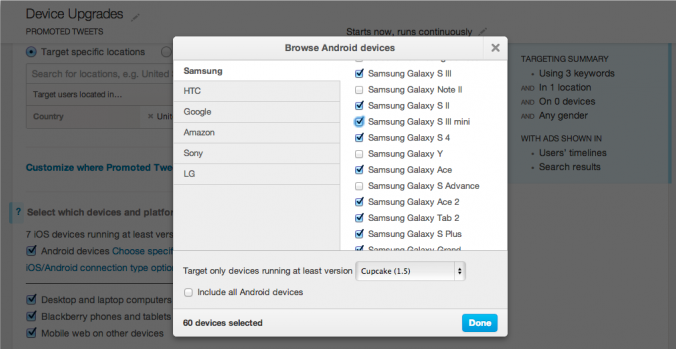 "This increased granularity in mobile targeting helps advertisers reach users who are most important to them." 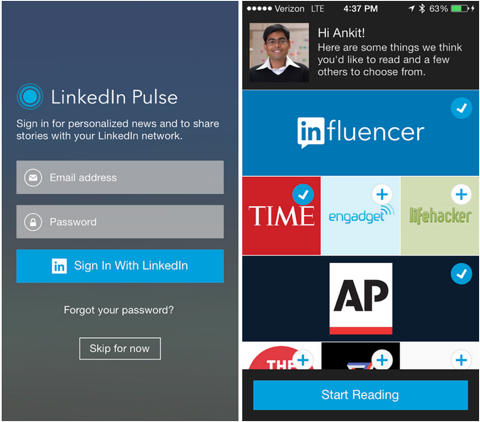 "When you download the new Pulse app on iOS or Android, you will be prompted to sign in using your LinkedIn profile. Once you've done this, we will automatically bring in the channels, influencers and LinkedIn content you already follow into your Pulse experience." 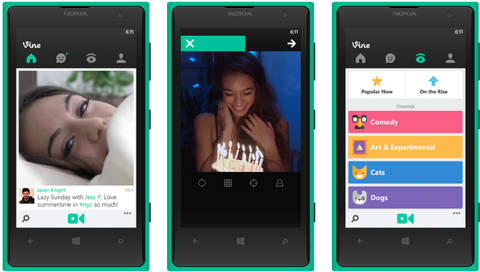 "Unique to Windows Phone, you can pin your favorite Vine accounts to your homescreen, and use Pivots to easily switch between your apps." 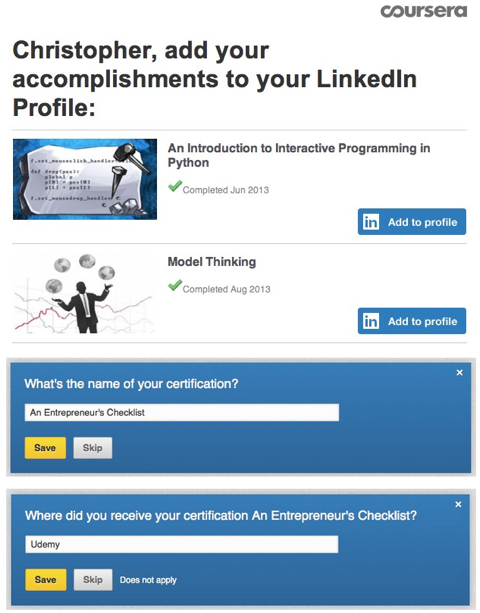 "After the completion of a course with a participating provider, you will receive an email with a link that will present you with an automatically populated certification field, complete with the details of the course you just completed."